A paperweight must be functional, but most examples also show a strong decorative impulse. In the form of a lion a paperweight conveys a sense of importance and status, perhaps in relation to matters of Empire. John Derbyshire's Regent Flint Glass Works was at Salford, Manchester. John separated from his brothers James and Thomas, and left their joint works at nearby Hulme to set up his own company in 1873. 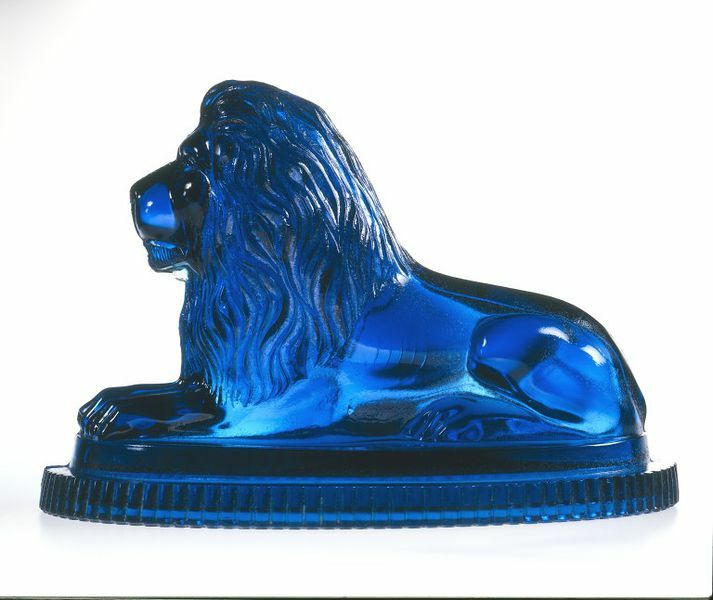 This business was short-lived but during its few years of production paperweights featured heavily and the lion paperweight is one of the best-known. Derbyshire made other designs based on the paintings of Edwin Landseer (1802-1873), including a greyhound and a collie.